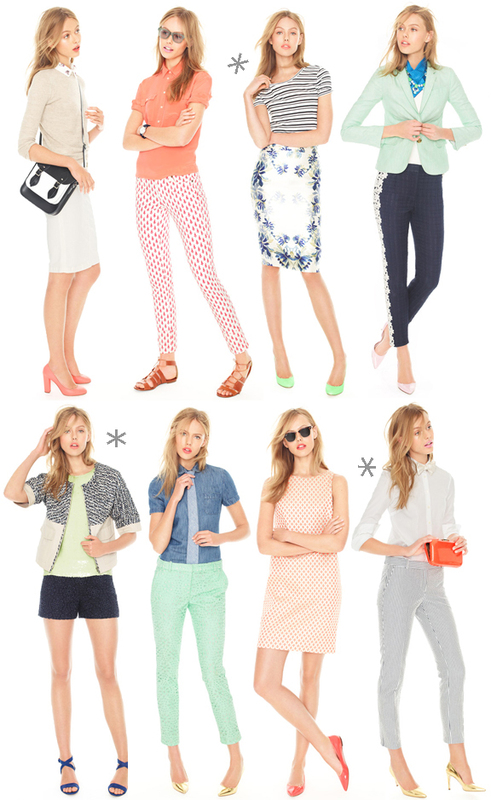 So much warm weather dressing inspiration going on at J.Crew right now. I am especially fond of the mirrored floral pencil skirt, that fabulous jacket, and those amazing seersucker trousers. Speaking of J.Crew, they are currently offering an extra 30% off their sale section. Make sure to enter SPRINGTHAW at check out to get the discount. I love basic shift dresses in interesting patterns. So cute! Love the Peony Tee! Hope I can find one! Thanks for the head's up on the sale! I wish I had endless amounts of money cause I want to buy everything!